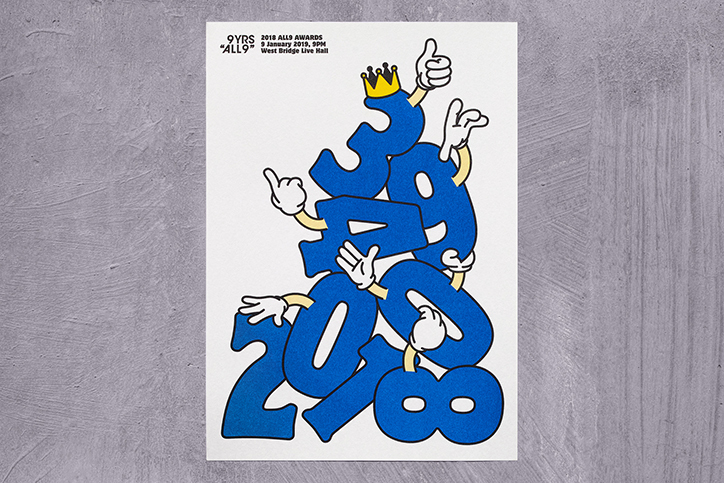 Graphic designer Jaemin Lee’s recent Risograph-printed work shares the graphic sensitivity we’ve come to recognise as the core of his work, in compositions that have an equal focus on visual storytelling and production values. 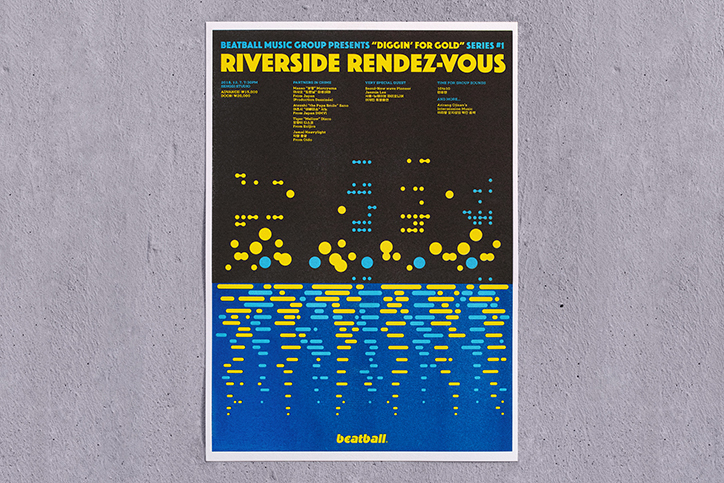 For instance, his project, Riverside Rendezvous, is designed as the first in a series of posters advertising the concert series, Diggin’ for Gold, organised by Beatball Music: “DJs from Korea and Japan created their music based on the theme of AOR or City Pop in the 80s, and [a] synth-pop group performed their music, reminiscent of the same era”, Jaemin tells It’s Nice That. “The ‘Riverside’ as a location held a unique meaning for Seoul in the 80s. A new highway was constructed by the riverside, and new hotel buildings were built around it” he continues. 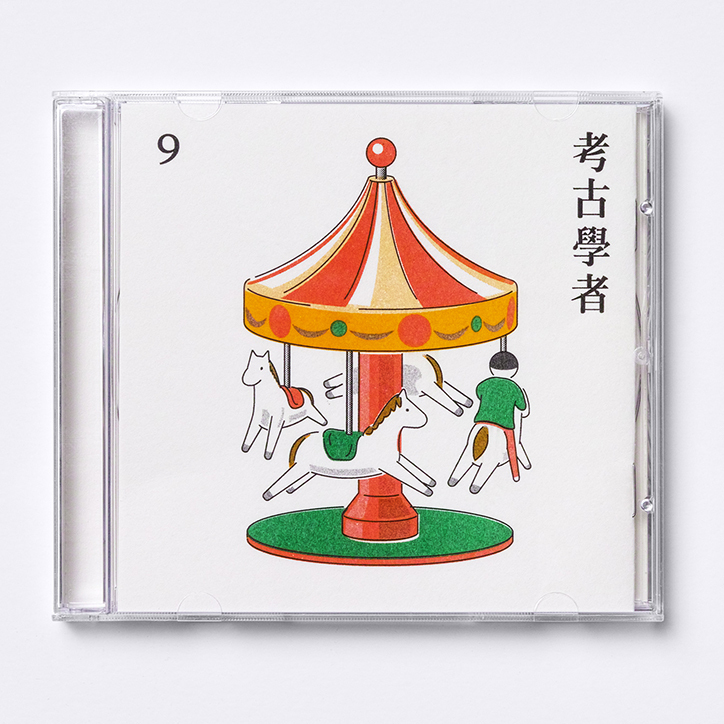 “Illustrator Hiroshi Nagai designed many record labels in Japan, with the 80s city and summer theme. 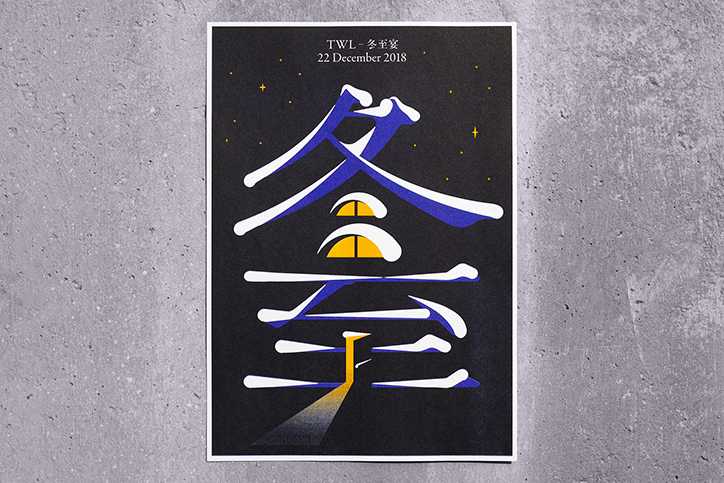 I designed this poster as a homage to his works, to recall the East Asian romanticism of this era.” It certainly has that vibe and puts the viewer in the position of someone sat on the riverside, dreaming of the city lights across the water. The colours, typographic treatment and quality of print all add to this too, showing the potential for a poster to immerse you in a particular time and place. 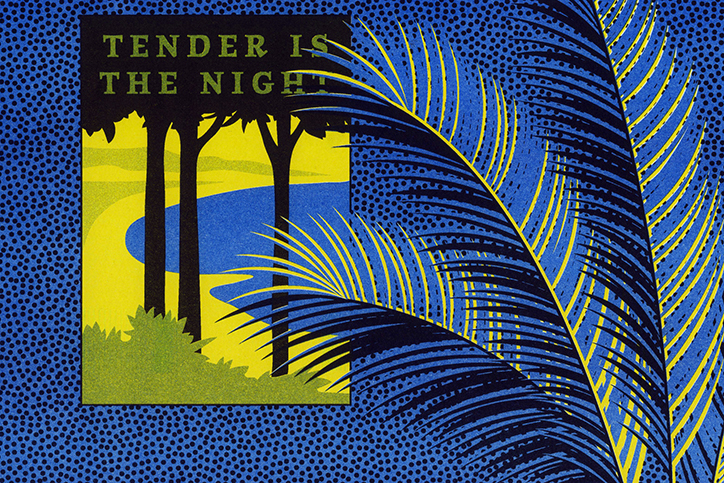 ’Round Midnight makes use of a similar colour palette, and atmosphere, but for a different purpose. A contributing work for the Ink Village exhibition held at Archive Bomm, Seoul, the poster depicts a man (possibly Jaemin himself?) 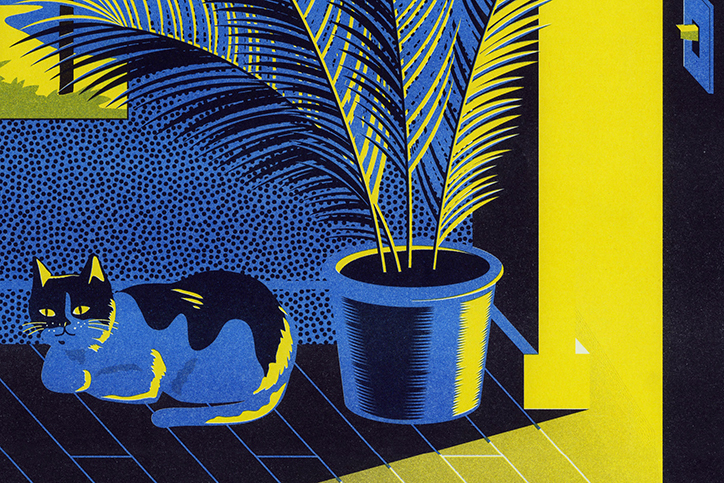 drinking seemingly alone (but for his two cats), listening to a record in the dark, with light coming in from the hallway, illuminating his plant and Tender is the Night poster. “Around midnight, when the body, the mind, the languid cats, the blue light and the low sound of music are melted away”, Jaemin describes. 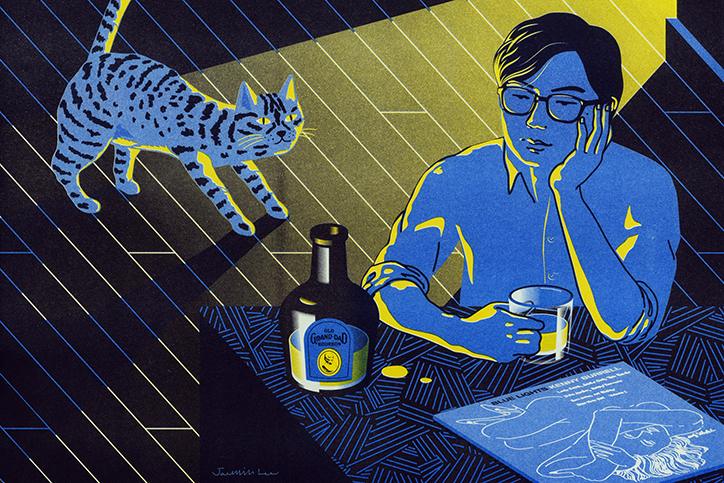 His other works with Risograph also highlight Jaemin’s ability to balance precision with humour and a light touch. 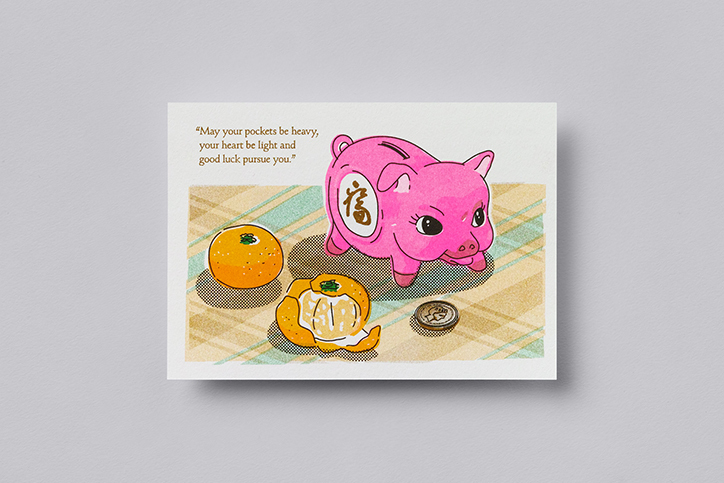 Whether it’s typography being translated into a house at night, a single-occupant carousel, Mickey-Mouse-style hands protruding from numerics, or a Year of the Pig card wishing luck, the compositions strike a balance between detailed and spare, exacting and expressive. Jaemin graduated from Seoul National University and founded Studio Fnt in 2006, has been a member of AGI (Alliance Graphique Internationale) since 2016, exhibits internationally and describes himself as “a full-time dad to two beautiful cats”.